The Far Westerns short-course championship meet is the end-of-season taper meet for a large number of teams in the Western Zone, and specifically so for their 14-and-under swimmers. 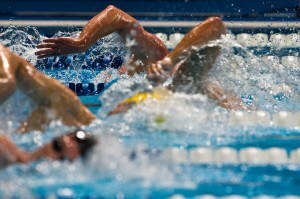 The format is prelims/finals, but with only ten swimmers competing in one heat of finals. 17-18: Jennifer Campbell* of Palo Alto Stanford Aquatics led wire-to-wire in the girls’ 17-18 final of the 200 free. Her final time of 1:48.31 was 2.3 seconds faster than her morning swim, but just off her lifetime best. Walnut Creek Aquabears teammates Danielle Taylor* (1:50.90) and Brittany Usinger (1:51.77) came in second and third, respectively. Lakeridge Swim Team’s Christopher Miller won the boys’ 17-18 final with a lifetime-best 1:41.04. It was a tight battle through the 150 but Miller shut down the competition with his final 50 of 25-mid. Daichi Matsuda* of Palo Alto Stanford knocked another .3 off his time, touching in 1:41.93 for second place. Alexander Kapphahn* (unattached, Foothill AquaSharks Swim Team), dropped 1.2 seconds from his previous best to get third in 1:42.16. 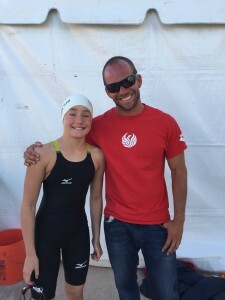 15-16: Reno Aquatic Club’s Mckenna Meyer used her strong second half to edge Chloe Isleta* of PASA in the 15-16 race; the two turned virtually together at the 100 but Meyer came back a half-second faster to get the win, 1:49.30 to 1:49.99. Walnut Creek’s Gianna Garcia went another 1.8 seconds faster than her prelims time, for a total improvement of 2.9 seconds from her entry time; she finished third in 1:51.03. Benjamin Ho* of PASA went a lifetime-best 1:37.29 to win the boys’ 15-16 race over teammate Alex Liang. Liang’s 1:38.55 was also a personal best. Dagen Kipling of Lakeridge Aquatic Club took third. Kipling came into the meet seeded 16th with 1:49.52; he dropped 4.6 seconds in prelims and another 2.4 in finals for a new time of 1:42.54. 13-14: PASA’s Isabelle Henig* cracked 1:50 for the first time, winning the girls’ race in a stunning 1:47.84. That pops her up to fifth nationally for the season. Peak Swimming’s Vivian Wang also broke through the 1:50 barrier for the first time, finishing second in 1:49.01. Top-seeded Hunter Hitchens of Irvine Novaquatics improved his time by 1.5 seconds and won the boys’ 13-14 race in 1:41.09. Teammate Kevin Tu was runner-up, dropping 1.7 seconds for a new PB of 1:42.62. Tyler Lu of Pleasanton Seahawks came in third, dropping another half-second in finals for a 2-second overall improvement to 1:44.44. 11-12: Mission Viejo’s Ella Ristic won with a new best time of 1:53.07, moving from seventh to sixth in the season’s rankings for her age group. NOVA’s Alyssa Watson came in second, improving her time to 1:56.27. Bianca Yongyuth of Santa Clara Swim Club took third, in 1:56.79. Nick Williams from Pleasant Valley Swim Team went just a tick faster than his best, winning in 1:49.31. Justin Culetu of PASA (1:50.83) and Kevin Sichak of Quicksilver Swimming (1:51.96) rounded out the podium. 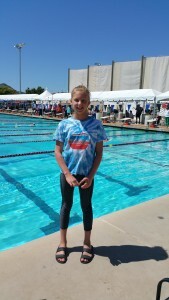 10&U: Claire Tuggle of Yosemite Marlins Swim Club broke the 2:00 barrier for her first time, crashing through all the way to 1:58.20. She was 11 seconds faster than runner-up Isabella Abrajan from South Bay Aquatics (2:09.35). Rose Bowl Aquatics’ Ronald Dalmacio also broke the 2:00 barrier, turning in a nation-leading 1:59.31. Second place went to NOVA’s Humberto Najera in 2:04.95. 17-18: Reno Aquatic Club’s Madeleine Hurst went 10 seconds faster in finals than in prelims to win the event with 2:15.88 over Walnut Creek Aquabears’ Aileen Lee (2:17.08). PASA teammates Jeremy Babinet and Joe Kmak* went 1-2 with 2:01.04 and 2:04.61, respectively. 15-16: Grace Zhao* of PASA won the girls’ race in 2:13.63, but the real action took place in the battle for second place. Quicksilver Swimming’s Hannah Womer touched out teammate Morganne McKennan, 2:17.16 to 2:17.45 for the win. Lyon Zhang of Isadore Real won the boys’ title in 2:03.45. Again, it was the second-place finish that provided the most excitement in the race: Lakeridge’s Kipling edged Andrew Koustik of NOVA, 2:06.72 to 2:06.96. 13-14: Gianni Pitto* of Lodi City Swim Club dropped another 3 seconds in finals to win the girls’ race in 2:16.12, a best time by 1.5. 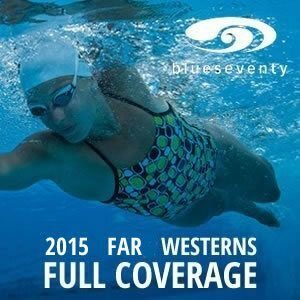 Spare Time Aquatics Sacramento’s Kristina Murphy just edged Peak’s Wang for second, 2:18.20 to 2:18.95. Cole Reznick* of Tri Valley Aquatics, erased another 3.3 seconds of his already-best prelims time, and won the boys’ contest in 2:08.75. Daniel Marella* of DACA wasn’t far behind, touching second with 2:09.57. Michael Xu of Pacific Athletic Club dropped another 1.4 seconds with 2:10.83 for third. 11-12: After her 3-second drop in prelims, SCSC’s Nadia Bouraoui took another .7 off and won the girls’ race in 2:21.64. Flatiron Athletic Club’s Caraline Baker was 3 seconds faster than her previous PB, touching at 2:23.11 for second. 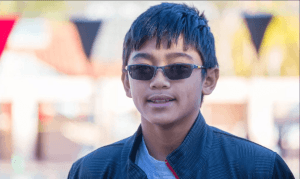 Canyon Aquatics Club’s Keane Alejandro improved his time by 1.2 seconds, winning in 2:14.98 over Sean Swift of Foothill Aqua Sharks (2:17.09). Alejandro moved up to the fifth spot on the national list for the season with that swim. 10&U: Miriam Sheehan of Phoenix Swim Club improved on her nation-leading time by .6 while winning the 10-and-under race with 1:00.68. Pleasanton’s Sydney Lu was second in 1:04.19, ahead of NOVA’s Carolyn Nguyen (1:05.09). Humberto Najera of NOVA won the boys’ race in 1:03.86. Quicksilver’s Simon Zhou (1:05.69) and PASA’s Anthony Sebastian (1:06.15) followed. 11-12: MVN’s Ristic got her second win of the night with a 57.93 in the 100 fly. The next three finishers all broke 1 minute for the first time: Kailyn Winter of Cabrillo Threshers (59.07), Quinn Murphy of Phoenix Swim Club (59.85), and Jessica Chu of De Anza Cupertino Aquatics (59.86). Winn Aung of Redding Swim Team put up a 53.74 to win the boys’ final, with Pleasant Valley’s Willliams coming in second at 55.57, a PB by 8/10. Matthew Trejo of Ripon Aquatics went 1.3 seconds better than his previous best and picked up third in 56.17. 13-14: Henig of PASA followed her 200 free gold medal with a matching one in the fly; her 54.91 was a best time by 1.3 seconds. Emily Lo of Terrapins Swim Team edged Chloe Clark of Foothill Aqua Sharks, 55.57 to 55.67 for second. Santa Clara Swim Club’s Nathan Yates earned the boys’ title when he out-touched NOVA’s Hitchens, 50.93 to 51.03. 17-18: Reno’s Hurst picked up her second win, going right around her personal best with 2:02.97. Walnut Creek’s Brittany Usinger (2:03.45) and Jennifer Campbell* of PASA (2:03.82) rounded out the podium. The boys’ race featured another 1-2 finish from PASA’s Ho (1:45.24) and Liang (1:49.41). 15-16: Chloe Isleta* of PASA won with 1:58.97, ahead of Gianna Garcia of Walnut Creek Aquabears (2:01.75) and Meyer of Reno (2:03.06). SCSC’s Sophie Krivokapic-Zhou, who had qualified first in prelims, scratched finals. 10&U: After dropping 2.8 seconds in prelims, Jeremiah Leah Tandingan of Pikes Peak Athletics took another 1 second off her time to win with 1:09.49, becoming the only 10-year-old girl to dip below 1:10 this season. Second place went to Courtney Seljeseth of Quicksilver in 1:11.84. PASA’s Audrey J-Cheng took third in 1:14.99. Ricky Kurosawa of Boulder City Henderson won the boys’ race with 1:11.28. The Olympic Club’s Jonah Lee went a PB of 1:15.88 for second. 11-12: Mackenzie Lee of Pleasanton won the girls’ race with a PB of 27.55. Mission Viejo’s Ristic finished second in 27.97, ahead of Scottsdale Aquatic Club’s Greer Pattison (28.50). Zerin Wolfgramm of Devil Ray Aquatic Team eked out a win on the boys’ side, touching in 27.22. Joshua Cho of Wasatch Front Fish Market and Lars Hanna of Aces Swim Club tied for second with 27.54. 13-14: Palo Alto Stanford Aquatics (Milan Hilde-Jones, Sophia Sebastian, Allison Asborno, and Brooke Schaffer) beat The Olympic Club, 3:52.48 to 3:53.14 for the girls’ title, whileTerrapins Swim Team (Robert Mitchell, Matthew Wilcox, Matthew Fetterman, and Calan Brown) edged Rose Bowl, 3:41.07 to 3:41.90 on the boys’ side. 11-12: De Anza Cupertino girls (Neeyati Devanagondi, Chanell Kann, Jessica Chu, and Sarah Radle) won by several body lengths with 4:07.91 over Rose Bowl, while PASA boys (Theodore Makler, Ryan Kim, Guy Zamir, and Jerry Yang) beat Canyons, 4:00.61 to 4:01.64. Was Claire Tuttle’s 1:58.2 in the 10&U 200 Free a NAG? 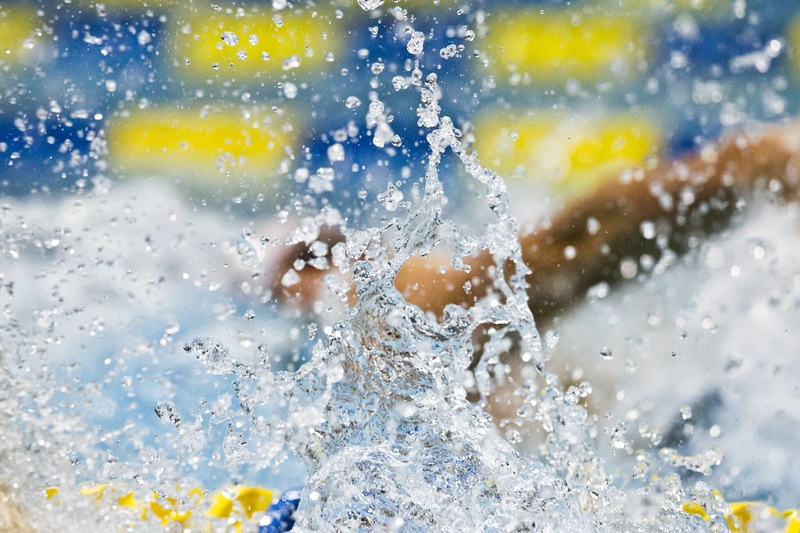 It’s hard to picture a 10 yr old girl swimming a time like that – wow. The reference I found on the USA Swimming site for the current NAG is 1:59.0 for Ella Eastin in 2008. Inquisitor – appears as though it was. Good catch. What was Benjamin Ho’s 2nd win? I assume the 2 back, but do we have a time? 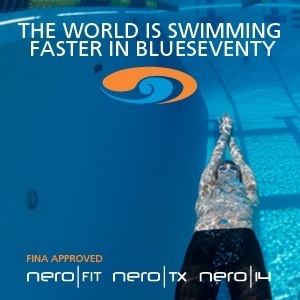 He won the 200 back in 1.45.24.